Some time ago, I saw a review of a cutting board that had markings with different measurements and angles. 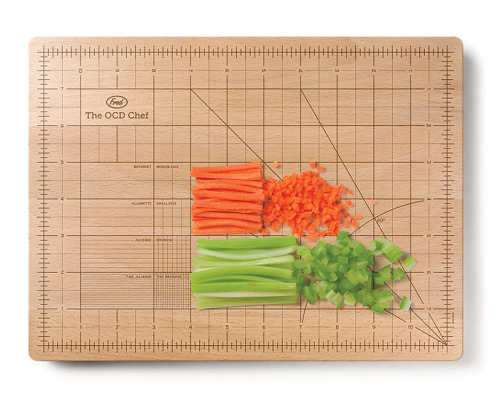 It was called the OCD cutting board, and I thought it was a pretty cool idea. I mean, how many people can eyeball a quarter-inch dice or a 45-degree angle? Sure, most of the time those measurements don't need to be that exact. But it's nice to get close. And when I'm writing a recipe, there have been plenty of times when I pulled out a tape measure to check what size I cut something. Putting pieces on a cutting board to measure them makes more sense than fumbling around for a measuring tape. I figured the OCD cutting board might be a handy thing to have, but I never got around to buying it because I'm cheap frugal. I have plenty of functional cutting boards as well as a kitchen-only tape measures and rulers. But it was on my wishlist. When I saw that Uncommon Goods was looking for some reviewers and I saw they sold that cutting board, I raised my hand and said "Me! Me! Me!" They told me I could have anything I wanted to review under a certain dollar value, so I put the cutting board in my freebie cart and went shopping to spend the rest of my free money. Then I started browsing through the different categories to see what else I might like. 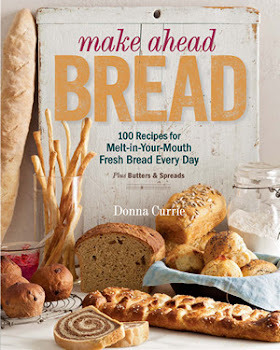 Besides categories like dining and office, there are suggestions for things like gifts for happy newlyweds, But I kept wandering back to things related to cooking and serving. After some browsing, I grabbed the Ice Cream Scoop and Stack. 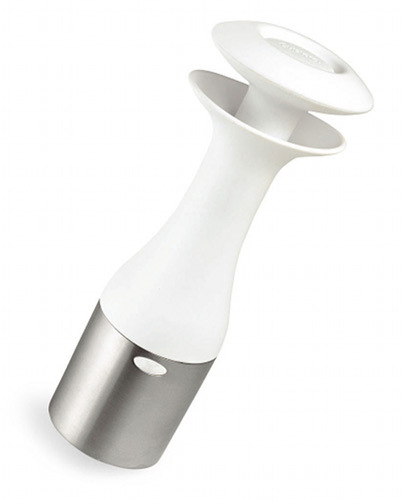 It's a different sort of ice cream scoop since it's meant to cut the ice cream into rounds rather than spheres. I thought that might help me create some interesting presentations, particularly if I wanted to stack several things. Like ice cream on top of a round of cake. Or round portions of watermelon. Or different flavors of ice cream. Or whatever odd things I think of. And yes, I've been known to think of some odd things. Funny thing is that that first thing I used it for was cutting some biscuits. I have biscuit cutters, of course, but this had just arrived, and it was the right size. Hey, it's not a uni-tasker! I still haven't used it for ice cream, and it might be a while before I do. Is it something everyone needs? Maybe not. But I'm looking forward to using it when I want something different for photos. I'm guessing I won't be using it exactly as intended, but that's okay, too. But I digress. Back to shopping. 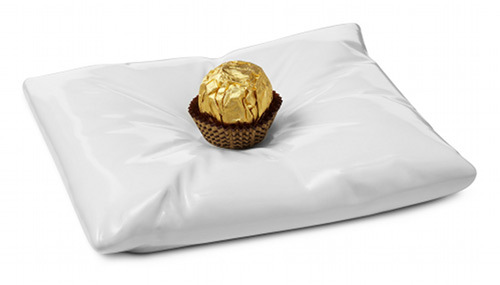 I still had a little credit left, so I picked up one last thing - a ceramic pillow. Cute, huh? Yeah, I thought so, too. No, it's not for my head or for my bed. It's a little plate that I though might be good for photos. When the products arrived, they were seriously well packed, with plenty of bubble wrap protecting the goods. The ceramic pillow is now tucked away near my photo gear, waiting for the right opportunity. It's not something I imagine I'll use really often, but it should work well for the right sorts of items. The cutting board looks well-made, and the markings look like they'll be durable. I don't know if I'll actually do any cutting on it, since it I have other boards that are larger (this is 9x12) and because I might want to keep it looking pristine for photo use. We'll see about that. Overall, it was a good shopping experience, and Uncommon Goods seems responsive to customers. If you read the reviews on their site, they don't hide the negative comments, and the usual response to a complaint is the suggestion to call for a refund or replacement. That's pretty cool. Thanks to Uncommon Goods for the opportunity to shop and review. I received these items at no cost for the purpose of this review. I wasn't required to say nice things. Then again, it would have been sort of daft to order things I wouldn't like, huh?